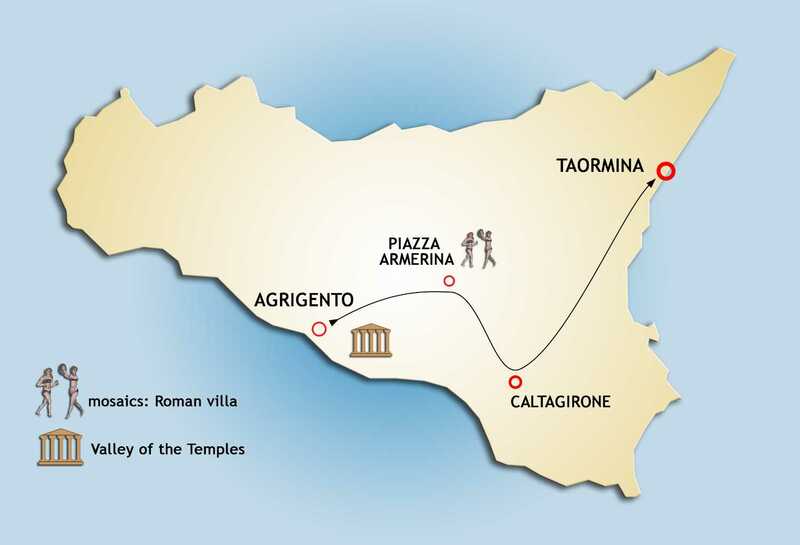 Move you from Agrigento (West side) to Taormina (East side) with stopover into the wonderful Villa Romana of Casale at Piazza Armerina and into Caltagirone, famous for its ceramic tradition and baroque style. 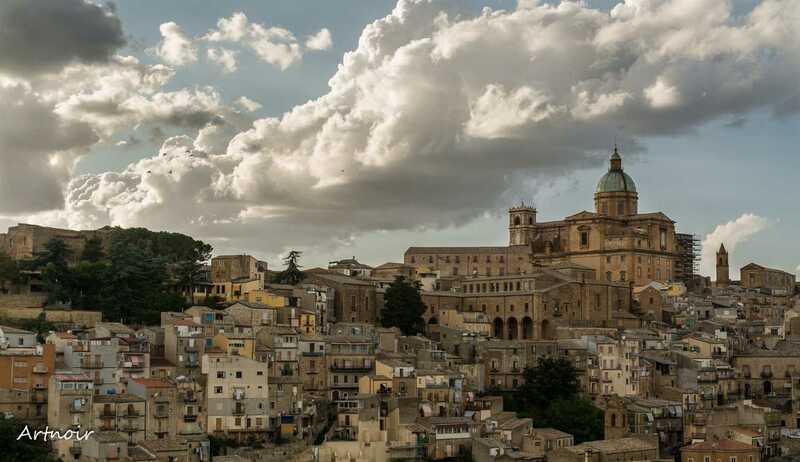 Today meet our staff and departure for Piazza Armerina situated deep in the Sicilian hinterland, at 721 metres above sea level, one of Sicily’s most frequented tourist spots. 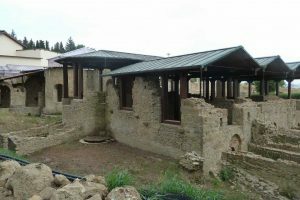 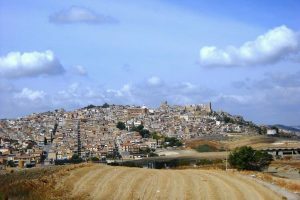 However, it is not the town that most people come to see, but the famous Villa Romana del Casale (Admission fee: not included). 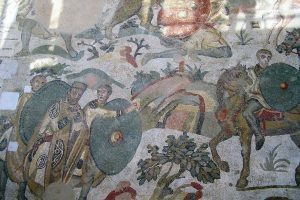 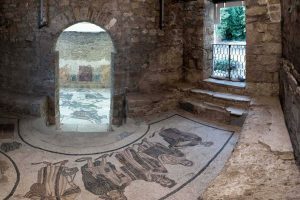 Built in the middle of the 4th Century AD as a hunting lodge by a Roman patrician (it is not known for sure who the owner was) the Villa is home to some of the best preserved and extensive examples of Roman mosaics spread over around 3500mt. 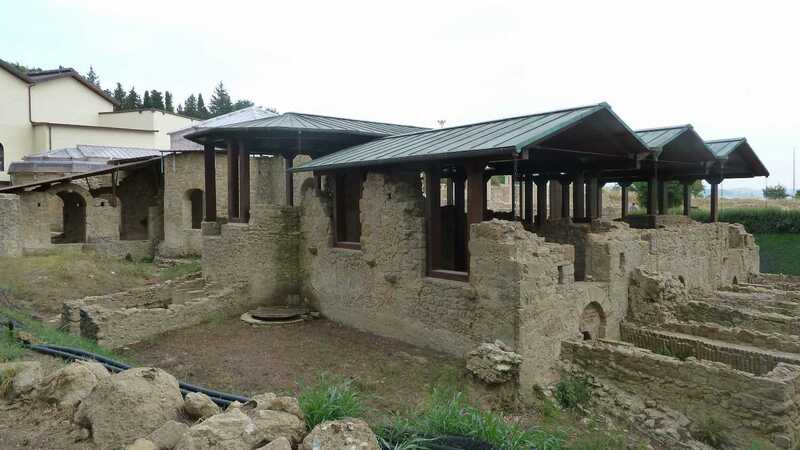 The villa is one of the most luxurious of its kind. 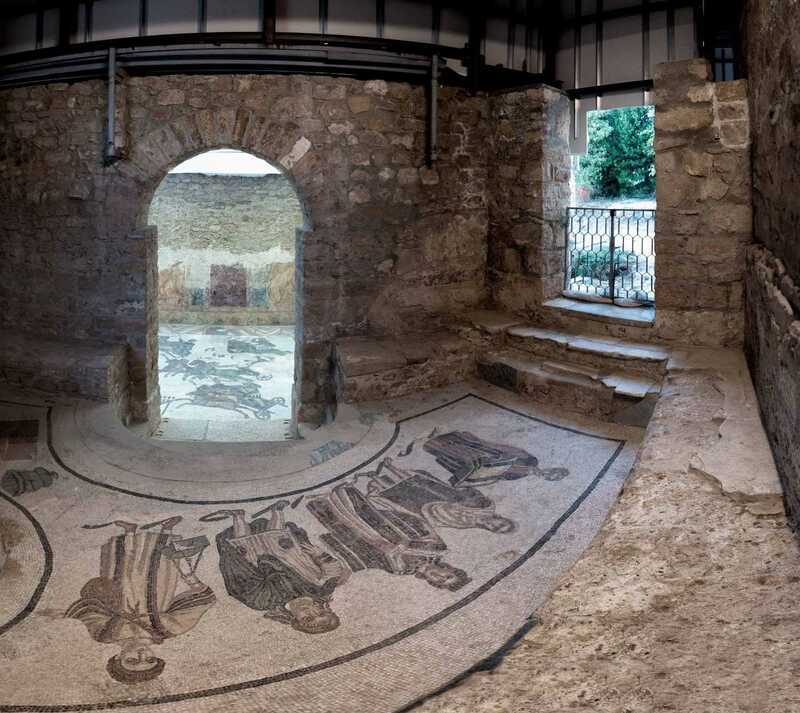 It is especially noteworthy for the richness and quality of the mosaics which decorate almost every room; they are the finest mosaics in situ anywhere in the Roman world. 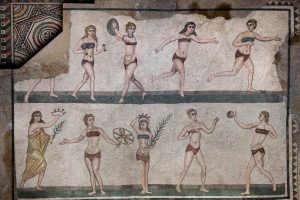 These extraordinarily vivid mosaics, probably produced by North African artisans, deal with numerous subjects, ranging from Homeric escapades and mythological scenes to portrayals of daily life, including the famous tableau of girls exercising in their “bikinis”. 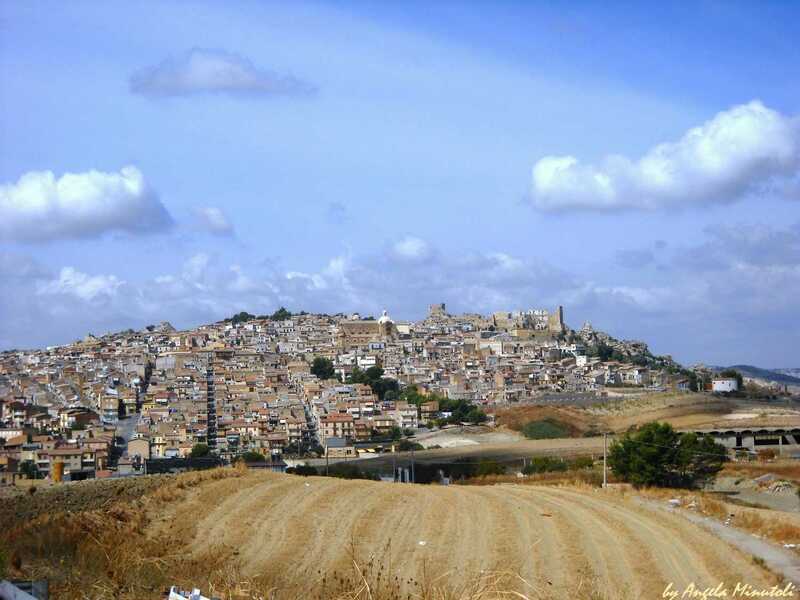 This afternoon departure for Caltagirone. 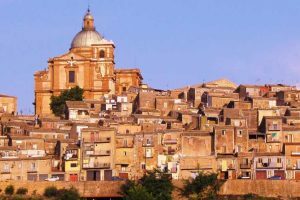 Once the location of a Saracen fortress, this high mountain town was badly damaged in the 1693 earthquake and largely rebuilt in Sicilian Baroque style. 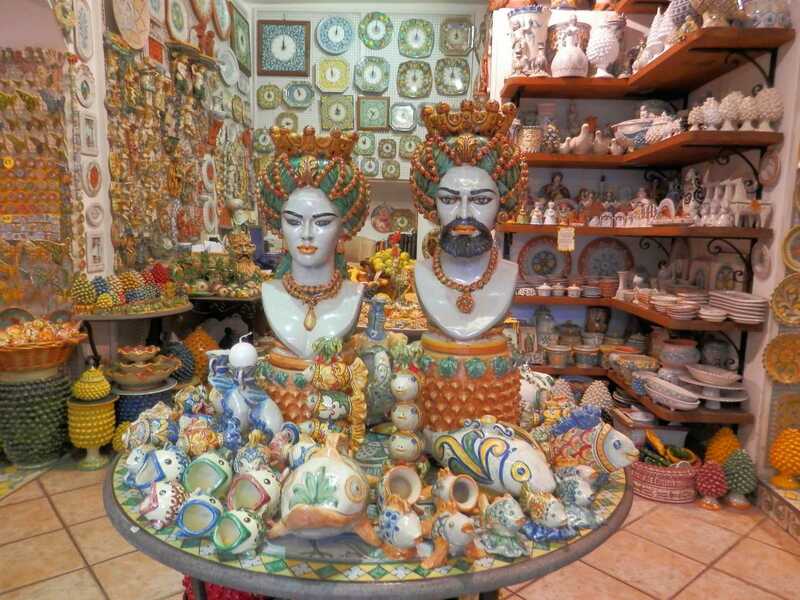 Caltagirone is well known for its ceramic art and Sicilians refer to the “Caltagirone style” in ceramic pottery, characterized by ornate traditional motifs using a limited palette. 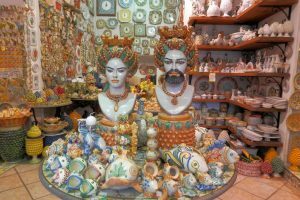 The heart of the city center has plenty of handcraft shops. 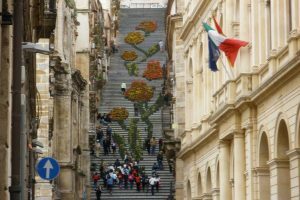 The main highlight of the town is the 142 steps Staircase of Santa Maria del Monte, decorated with splendid glazed majolica tiles. 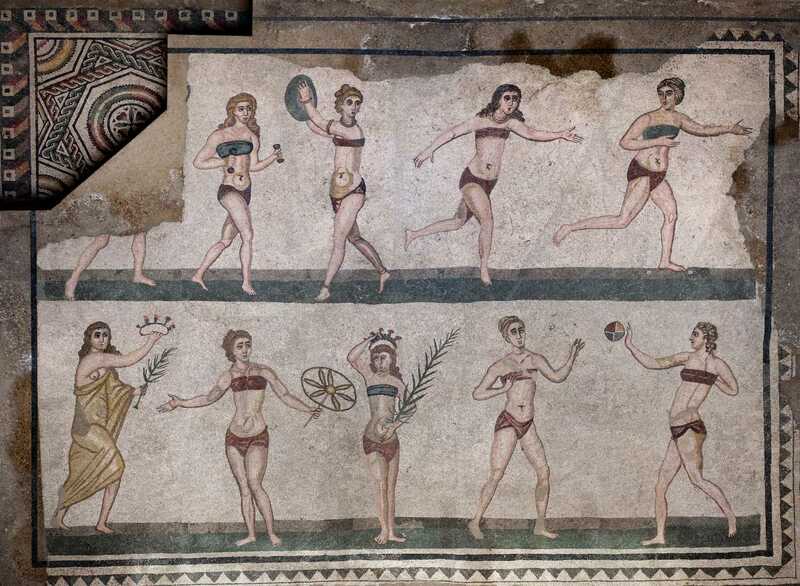 The peculiarity is that each step has a different motif. Climb the Staircase or just observe it from the bottom to better admire this unmatched masterpiece. 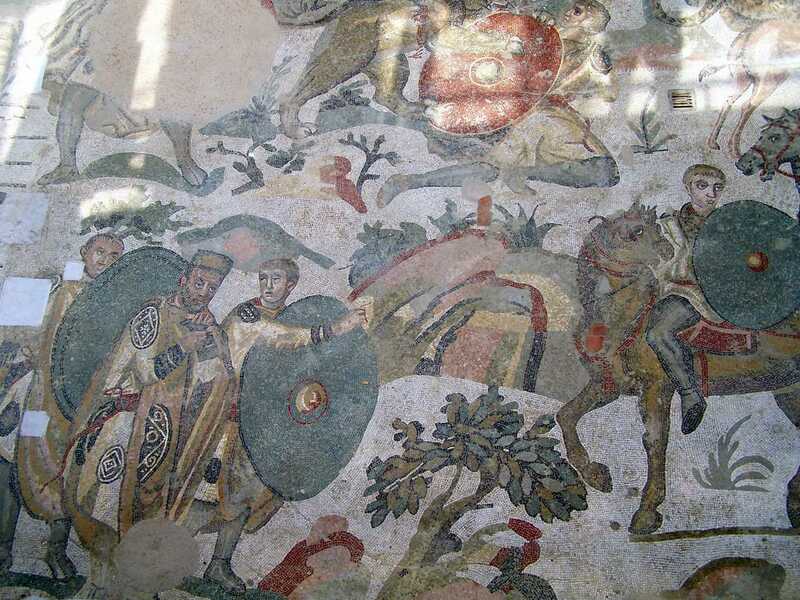 Full day Excursion to discover Siracusa and Cyclops Riviera. 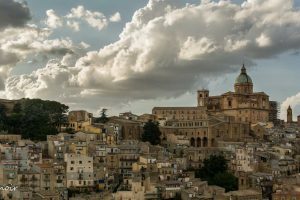 Stroll through the streets of Ortygia Island, the heart of Syracuse, delight the visit to the Archaeological Park and admire the coastline from Acireale to Aci Castello.